OLSEN GRUIN is pleased to present “Sharing Country” curated by Adam Knight. "Sharing Country" show cases works by leading contemporary Aboriginal artists from the most remote desert communities. 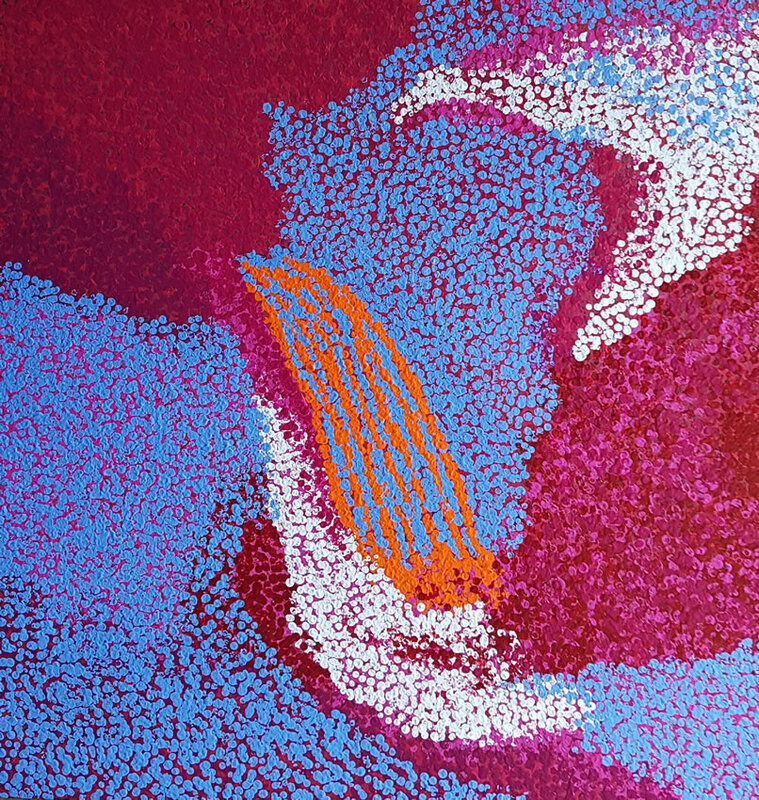 Featured artists include Sandy Brumby, Tommy Watson, Joseph Jurra Tjapaltjarri, Iluwanti Ken, Puna Yanima, Tuppy Ngintja Goodwin, Womens Collaborative, Barbara Moore, Tiger Palpatja, Witjiti George, Minnie Pwerle, Kudditji Kngwarreye, Kathy Maringka and Liddy Napanangka Walker. The quality of these artworks reflects the richness and diversity of Indigenous culture and the distinct differences between tribes, languages, dialects and geographic landscapes. Art has always been an important part of Aboriginal life, connecting past and present, the people and the land, and the supernatural and reality. Since opening his first art gallery in 1995, Adam Knight has since opened and operated 6 commercial art galleries and influenced the careers of some of the most important Aboriginal artists, including Clifford Possum Tjapaltjarri, Gabriella Possum and Tommy Watson. Adam has maintained long-term representation with a group of artists that also extends to artistic family members and has developed extensive relationships within the Community Art Centre network and leading Australian auction houses. Adam Knight is the Vice President of the Aboriginal Art Association of Australia, the national organisation for persons and organisations experienced in the business of Aboriginal Art. Adam became a Perpetual Benefactor of the Gold Coast Art Gallery in 2012. In 2013 Adam created the “Art Walk” at Bond University to showcase the the largest private collection of Indigenous Art on display in Australia. He is a member of The Art Consulting Association of Australia and an accredited valuer for the Australian Government’s Cultural Gifts Program. He is the founder of Indigenate, promoting the display of Aboriginal art works in Australian Schools and a Global Ambassador for the New York based Same Sky.